Nowadays our mobile are replacing our need of personal computer’s we can do anything on our mobiles from chatting to browsing anything we like ,but still we need our personal computer most of us can’t purchase costly mobile or mobile can’t do many of the things in today post i will show you how to connect to internet in personal computer using your mobile which have activated 3g or 2g services.We need just need some basic knowledge and some resources to connect to internet using our mobile so lets see what are things that we are required . 1. )Some personal computer and laptop already have inbuilt Bluetooth in them if your personal computer don’t have inbuilt Bluetooth then you are required either a USB cable or a external Bluetooth. 2. 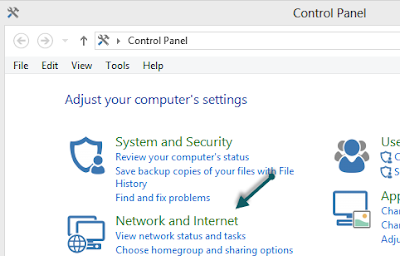 )So connect your mobile to your PC using your USB cable or Bluetooth.After that go to control panel and click on Network and Internet see below image. 3. )A new window will open and on that window click on Network And Sharing Center as shown in below image. 6. )Now if you have any connection before it will ask you to use your exist connection or crate a new one , so we choose a new connection. 7. )Now we are connecting our mobile to PC so we choose Dial Up connection . 8. )In this window you will see your phone name ,so choose your phone as your modem of your personal computer . That’s it i hop you like my this post so if you have any query feel free to ask an don’t forget to subscribe to my blog.